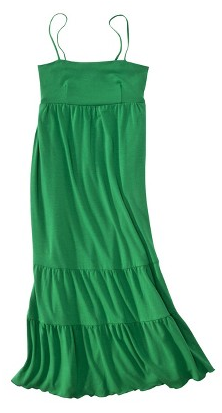 I was browsing for nothing in particular online when I found this nice green dress. I could wear this kind of style since it’s been so hot here lately. I’m not a big fan of a green color dress, but I like the style of this one. What I like more is that it’s on sale. I showed it to my sister while chatting with her online and she wanted one too. If only she lived close by, I would definitely buy her one, but she lives overseas. I still have lots of clothes for my sister that I sent to her and should be there soon. I told my sissy that I gave her a lot of good stuff and hopefully she will get it before her birthday comes later this month.